We are often asked to explain how our historical research informs our teaching and how our teaching influences our research. In this column we showcase one of the many examples from Laurier’s History department where our teaching and research intersect. Associate Professor Mark Humphries holds the Dunkley Chair in War and the Canadian Experience and serves as the director of the Laurier Centre for Military Strategic and Disarmament Studies; he also teaches at both the undergraduate and graduate level in the History department. This year he taught a new second-year course entitled “Plagues and Pestilence,” which examined the history of epidemic disease and public health responses, from the Black Death in the ancient and medieval periods to the eradication of smallpox in the 1970s. Taking a thematic approach, the course focused especially on the patient experience of disease and the ways in which health professionals, the state, and ordinary people tried to mobilize to protect themselves from history’s most virulent plagues. This course grew out of one of Humphries’ major research interests, which also include Canadian military and social history of the 20th century. As a historian of medicine and public health, he has established himself as a leading expert on the greatest plague of the 20th century, the so-called “Spanish Flu” of 1918, which killed more people worldwide than died in the Great War. 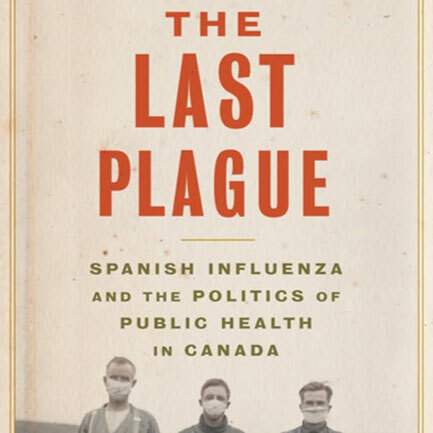 His scholarly reputation on this topic is based upon four published papers in academic journals and books, as well as his own book: The Last Plague: Spanish Influenza and the Politics of Public Health in Canada, Toronto (University of Toronto Press, 2013, 323 pp).